Click Image to go direct to Online Magazine. Number 28, and it’s a bit of a monster, one of the biggest issues we have put out so far! Well after disappearing for the best part of a month the wind seems to be back, and it’s long overdue! The last few days and for the next week or so Northern Europe looks set to be blessed with good winds. I do hope you are all managing to get out there and ride! Meanwhile the latest issue is huge, we had trouble fitting everything on the contents page! Inside you’ll find a stunning profile on Angela Peral the Spanish bombshell, very pleasing on the eye it is too. There is also a look at the shifting patterns in terms of production in the industry. As costs rise in Asia brands are looking to bring production “home” once again. Slingshot CEO Jeff Logosz reports back from the new factory they have just built in Hood River. Brian Smith the new Best Kiteboarding International rider drops by along with Armin Harich, the enigma behind the popular brand Flysurfer. Tom Court and Gabriele Steindl help you to learn new moves faster and of course Christian and Karine are on hand with their usual technique section. 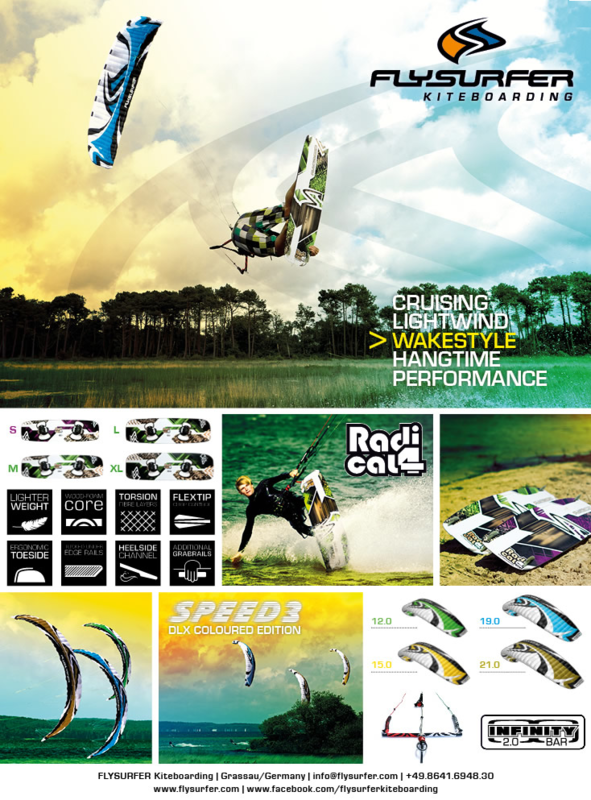 Check out this excellent video, showing Flyboard Kiteboard manufacturing step by step. A couple of times a year our FLYBOARDS shaper Eddy Lansink travels to the exclusive FLYBOARDS factory to explore new production techniques, do quality control and setting up the production for all new boards for the coming year. This video shows how this is done step by step and gives you a unique and exclusive look inside.